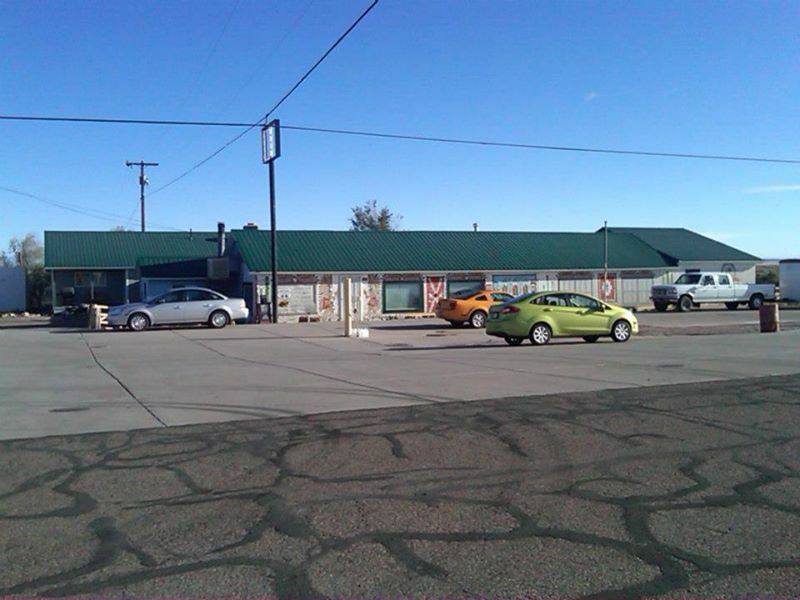 On the western outskirts of Joseph City in Navajo County on the north of bank of the Little Colorado River is a old US Route 66 stop known as the Jack Rabbit Trading Post. Finding the Jack Rabbit Trading Post is obvious given there is a large billboard denoting the site. 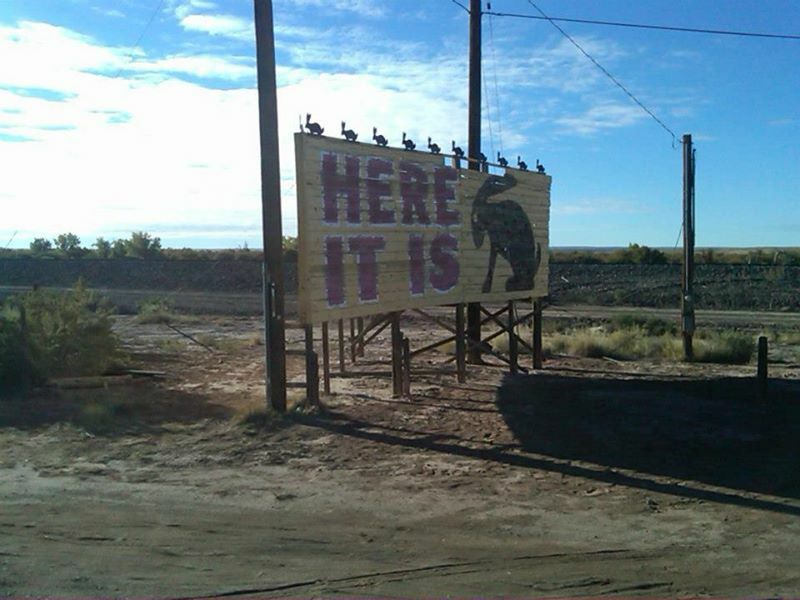 What "it is" is a large Jack Rabbit statue out front of Jack Rabbit Trade Post. 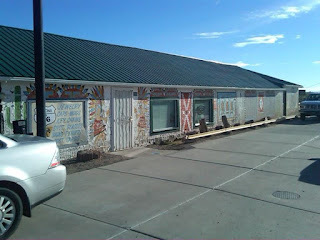 Jack Rabbit Trade Post dates back to 1949 and was opened by James Taylor in a former AT & SF Railroad Building. 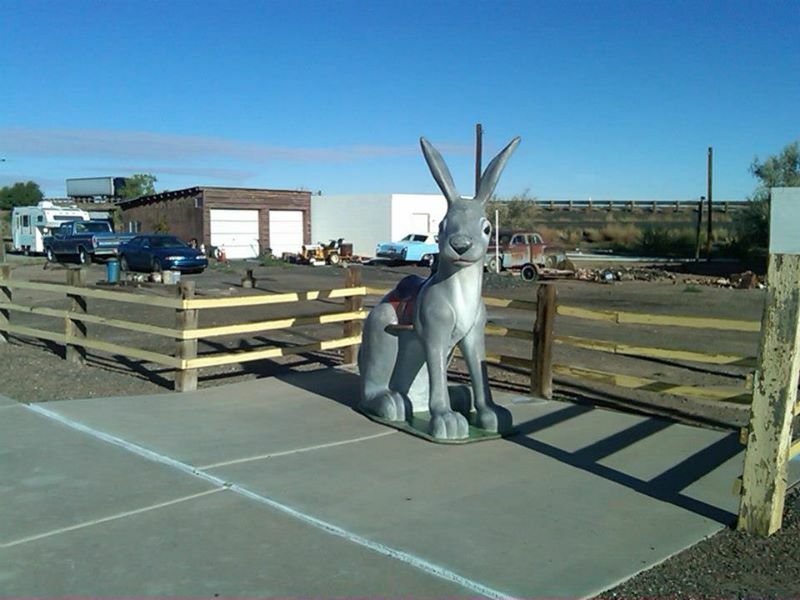 Apparently the Jack Rabbit statue was meant to lure roadside travelers to the Jack Rabbit Trade Post. The Jack Rabbit statue on site today is a fiberglass construction and has been replaced various times. Previous Jack Rabbit statues can be seen on theroute-66.com. The Jack Rabbit Trading Post is located south of I-40/US 180 exit 239. Regarding the routing of US 66 in Joseph City it continued east over Manilla Wash and would have originally cut over the travel lanes of I-40/US 180 onto Main Street. East of downtown Main Street and US 66 would have crossed back over the travel lanes of I-40/US 180 and ran on the southern frontage road which is sometimes called "Old Highway 66." Joseph City was bypassed by I-40 some time between after 1977 as the historic alignment still appears on a topographical map of the area on historaerials. Interestingly Joseph City wasn't settled as a rail siding of the Atlantic and Pacific Railroad. Joseph City was settled by a Mormon party in 1876 along the Little Colorado River. Joseph City was one of four settlements that the Mormons founded, the others were; Sunset, Brigham City, and Obed. Joseph City is the only remaining settlement out of the four settled in 1876. Brigham City and Sunset were located north of present day Winslow whereas Obed was located approximately three miles south of Joseph City.